The tusks in these ornamental elephants are real ivory. Back in January I wrote an article for The Conversation applauding China’s announcement to close its ivory trade and processing activities by the end of 2017. A shocked but delighted conservation lobby hailed the move as a potential turning point in the protection of wild elephants. But now the UK Conservative party has quietly dropped a manifesto commitment to ban the ivory trade. I am as concerned today as I was happy back in January. China’s announcement followed a major global conference in September 2016. CITES, the Convention on International Trade in Endangered Species of Wild Fauna and Flora – imagine a sort-of UN for the illegal wildlife trade – recommended that its 183 member states “close their domestic markets for commercial trade in raw and worked ivory as a matter of urgency”. In line with the Conservatives’ 2015 manifesto promise “to press for a total ban on ivory sales”, the government also responded positively by announcing plans for a ban on sales of modern day ivory. Britain’s rules would be among the world’s most stringent. There are more than 2,000,000 pieces of ivory in Britain’s homes, according to an estimate by The British Antiques Dealers Association. They range from the keys of a piano to the handles of knives, small ornaments and boxes. 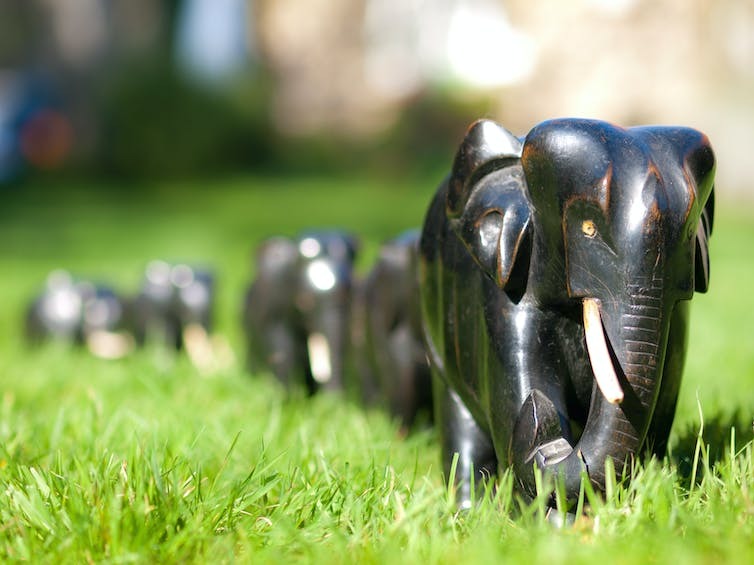 Current legislation means that ivory that has been “worked” (that is, carved) is legal to sell under the so-called “antiques exemption” provided it was worked before 1947, the cut-off date set by the original CITES convention. However, judging whether a piece is pre or post-1947 is no easy task. There are some scientific techniques: the date roughly corresponds with the end of World War II and the era of nuclear testing which released massive amounts of a radioactive carbon isotope (C14) into the atmosphere. All life now carries traces of C14, and it is possible to date any living thing since this point – including ivory. Such forensic testing is prohibitively expensive and invasive though, so the antiques trade still relies on knowledge and experience to judge an item. 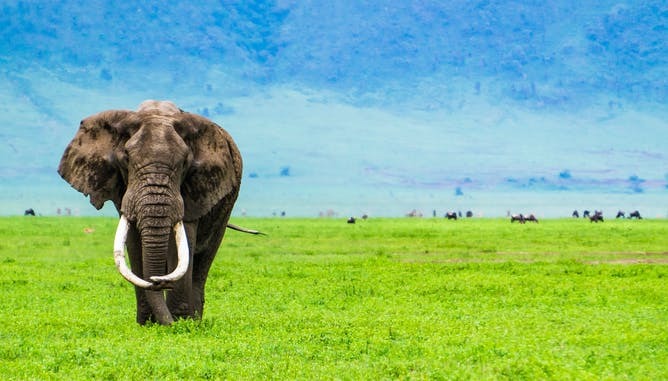 Proof of age is important as, even though ivory antiques don’t kill any “new” elephants, new ivory – from illegally poached tusks – can easily be mixed in with old. Expert dealers are wary of illegal ivory, but ivory is also sold more casually, at car boot sales or fairs by non-specialists. This explains the calls from conservation groups for a blanket ban on the sale of all ivory, including antique. After banning the post-1947 trade, the UK government also set out its intention to consult with interested groups on strengthening proof of age regulation. Intention to introduce a “documentary proof” requirement was announced meaning it would no longer be sufficient for a dealer or auctioneer to simply state that the item is a pre-1947 worked piece and for the prosecution to prove otherwise. What a difference a year makes. Looking at the 2017 Conservative manifesto, gone is the bold total ban statement and there is no mention of the earlier promises. In their place is a very general commitment “to leave the environment in better condition than we inherited it” and to cooperate with international bodies to protect rare species. The antiques trade, conservation groups and law enforcers were all anticipating a promised consultation which has not materialised. Instead, Brexit has dominated the political landscape, and while government departments have understandably focused on Europe other matters, including the ivory trade, appear to have been put on the back burner. With the WWF reporting that some 20,000 African elephants are being killed annually for their ivory, the back burner is not a safe place. Just as humans have a dominant hand, elephants are typically right or left-tusked. The Labour manifesto by contrast pledges to “introduce and enforce a total ban on ivory trading”. However this deceptively simple statement has not been well received by some sellers of the older (pre-1947) ivory, who would be hit by the extended ban. Their argument is that older ivory already exists, and that an ornament changing hands doesn’t involve any further elephant slaughter. For them, a ban would be an attack on their lawful businesses and an act of cultural vandalism. The illegal ivory trade needs to be dealt with both at the macro and micro level. In global terms, we must act with the international community to honour the commitments made in the September 2016 CITES conference. This of course includes international action to help African countries tackle poaching. However as a signatory to CITES, the UK must also be active and vigilant in the prosecution of its own sellers of illegal ivory. This should include strict rules governing the sale of pre-1947 worked ivory pieces including, at minimum, a requirement for sellers to provide documentary evidence of the age of the items. Research I’ve carried out as part of Portsmouth’s Ivory Project suggests we should go further and only allow ivory to be sold via licensed, specialist dealers and auctioneers.